Swimbait Underground partners with the cult fishing tackle manufacturer, DRT® for the first time to release a co-branded collection. Both Swimbait Underground and DRT® have been giving anglers insightS and tools to catch their swimbait fish of a lifetime. Two of the brands' core values – community and collaboration – are the driving inspiration behind this new collection, which features a DRT® Tiny Klash in Golden Shiner custom colorway and an SU x DRT® exclusive designed bait wrap. Swimbait Underground and DRT® released the collection Monday, August 20, 10AM PST on swimbaitunderground.com. If you were one of the lucky one’s, you copped an item OR 3 before they sold out. We caught up with Swimbait Underground for a quick Q&A on the their highly anticipated collaboration with DRT®. Read below. What’s up SU!? You guys just launched a pretty sweet collaboration with DRT® ON A CUSTOM COLORED TINY KLASH and a bait wrap. Can you tell us how the project came about and what it’s like working with DRT? Subsurface, we are beyond excited on the the collaboration release with DRT®. Interesting, the first interaction was around 4 years ago. Tomoya of DRT® placed one of/if not the first Japanese SU orders. His address came over in all characters and our printer did not recognize it. Unfortunately, our shipping department did not catch it and shipped it, AND that box is still lost to this day. A year or so later, we had the pleasure of meeting with Tomoya at the California Delta where we hand delivered SU gear. From that meeting, talks of doing a potential collaboration started. Since then Tomoya and the DRT crew have been huge supporters of SU and all that we do. He and the crew are a very large part of what we do in Japan and we are incredibly thankful for their support over the years. We really appreciate the forage colorway you chose. What inspired you to use the Golden Shiner? SU is California based, and Trout is a big color for us. On this collaboration, we wanted to do something that nation wide could be utilized to target giant bass. A real Golden Shiner was used for the Tiny Klash scan, and after a handful of prototype colors, this one was selected. Our perspective was it not only was a Golden Shiner, BUT also covered a Carp and again a nation wide forage. We’d like to note and credit that our friend, Butch Brown (@Swimbait247) opened our eyes to the Carp pattern years back. Thanks, Butch! 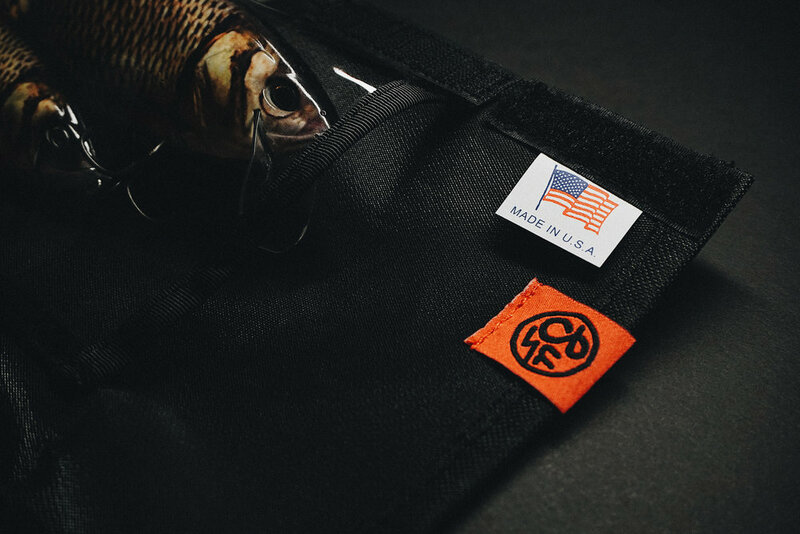 As talks of the collaboration progressed, we brought the idea of a custom bait wrap to the table. 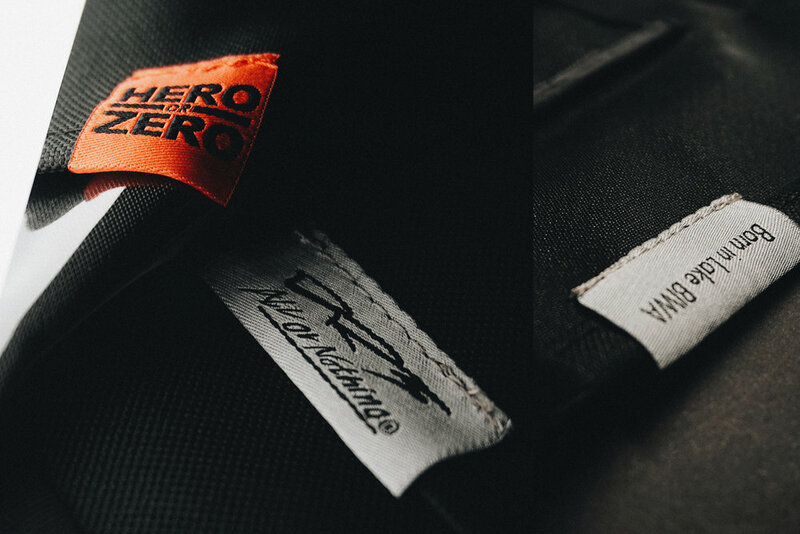 Tomoya and one of our designers went back and forth on it until the product was close. A couple prototypes later, we all agreed it was perfect. DRT Japan will be the sole distributor of the SU x DRT Wrap in Japan. 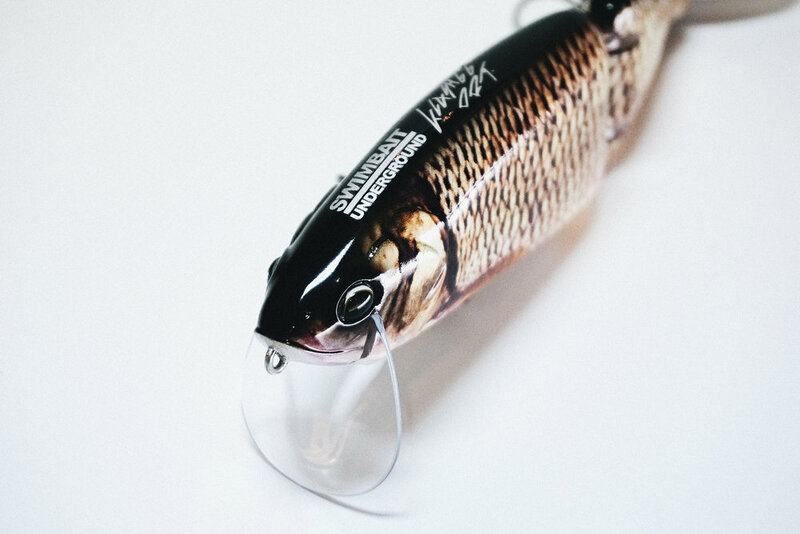 keep an eye out for those hitting the shelves in Japanese tackle shops shortly. 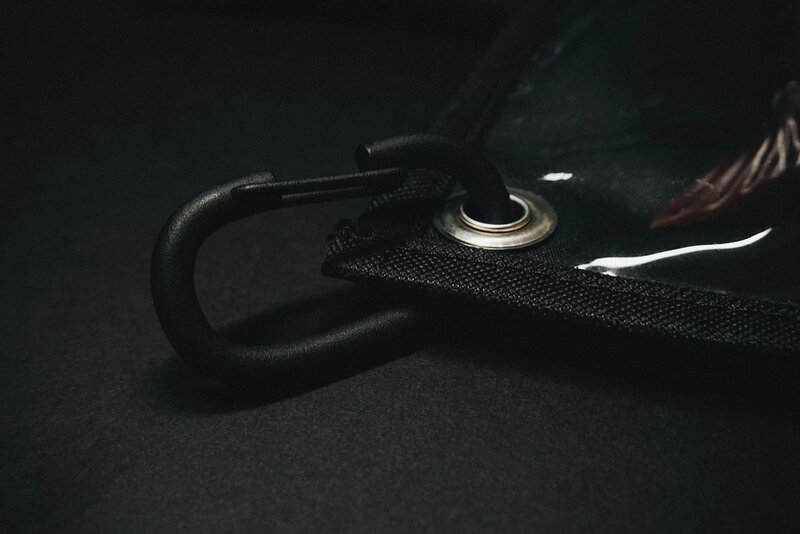 So as of 10:02 am PST, on Monday 8.20.18, the bait, bait wrap, and the combo had sold out entirely from your webstore. How does it feel to see such positive reaction from this collaboration? Again we are beyond excited with how the process went and the response of the collaboration. Tons of positive feedback rolled in from all parts of the globe about the color selection as well as the bait wrap specific to the DRT® bait line. Looking forward to seeing swimbait fisherman stick giants on the bait. Could we expect future collaborations with DRT® and perhaps other bait manufacturers? Without a doubt! We are working on another project with DRT as we speak. Future projects will be targeted to seasonal patterns and presentations. This is our first international custom color, but we have done a few domestically with some of our biggest supporters. We will continue to work with bait makers to give our community members the best tools to catch their fish of a lifetime. The most satisfying part of it is watching as members of our community catch fish on them time and time again. At the end of the day we are just fishermEn that want the best and most versatile baits at our disposal. Why wouldn’t our members want the same? Swimbait Underground works on growing the community thROUGH manufactureRs and individuals. Never UNDERestimate The Power Of The Swimbait! "Tons of positive feedback rolled in from all parts of the globe about the color selection as well as the bait wrap specific to the DRT® bait line." "We will continue to work with bait makers to give our community members the best tools to catch their fish of a lifetime."